This entry was posted in Australia Australia Immigration Visa Australia PR Australian Skilled Visas and tagged Australia skilled migrants Migrate to Australia Subclass 190 Visa on February 27, 2016 by Blog Author. 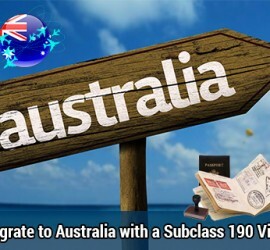 This entry was posted in Australia Australia Immigration Visa Australian Skilled Visas and tagged Australia Immigration Australia skilled nominated visa Australian SkillSelect Migrate to Australia Skilled Nominated Subclass 190 Subclass 190 Visa work in Australia on January 17, 2015 by Blog Author. This entry was posted in Australia Australia Immigration Visa and tagged Australia Immigration Australia skilled migration scheme Australian Skilled Independent Visa Australian Skilled Nominated Visa Subclass 189 Visa Subclass 190 Visa work in Australia on November 12, 2014 by Blog Author.